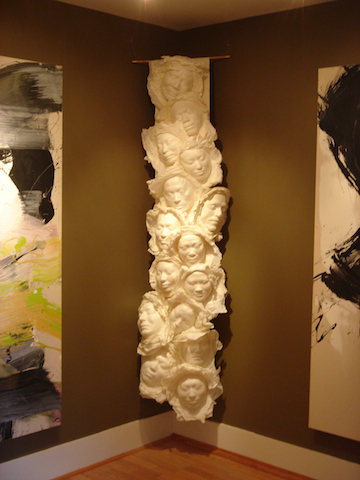 Japan-Korea Life Mask 2002 was a project among the peoples of Japan and Korea to celebrate their shared hosting of the 2002 World Cup Soccer Games. More importantly, the project was aimed at creating bridges of understanding and friendship among the peoples of Japan and Korea. 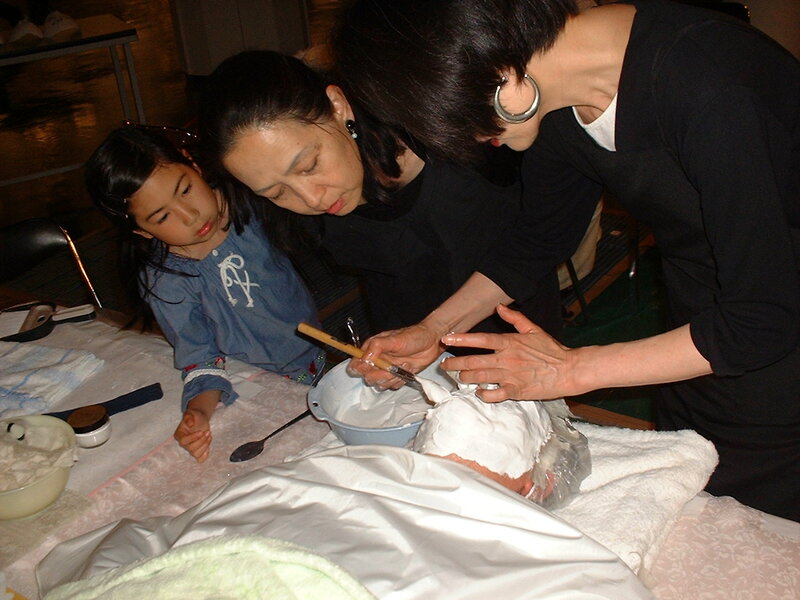 Final exhibitions of all the created masks were held in Yokohama, Japan and Seoul, Korea in August and December of 2002. Peace Masks were made aboard the Japan Peace Boat of some of the passengers as the boat made a historic Peace Voyage to North and South Korea from August 27th to September 8th of 2001. 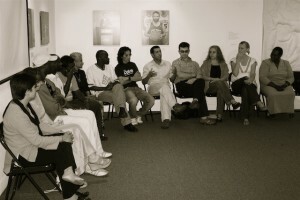 A panel discussion of an international group of young passengers concerning their impressions of the divided country was conducted by the Peace Mask as the ship headed back to Japan. A Peace Mask workshop was held during a “Soul, Soil, and Society” symposium at the Institute for Reverential Ecology in Santa Barbara, California, USA in 2003. 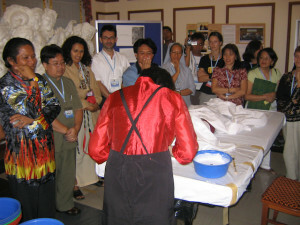 The Asia Pacific Peace Research Association Conference held in Siem Reap, Cambodia provided a setting for a Peace Mask presentation, workshop, and exhibition. A three-part series focusing on Korea; Part one “The Cheju Rebellion,” Part two “The Kwangju Uprising,” Part three “Busan Democratic Movement”. An exhibition of approximately 500 peace masks along with recent paintings by Myong Hee Kim was held during the month of June, 2004 in the main lobby of the Hyatt Regency Hotel Osaka. 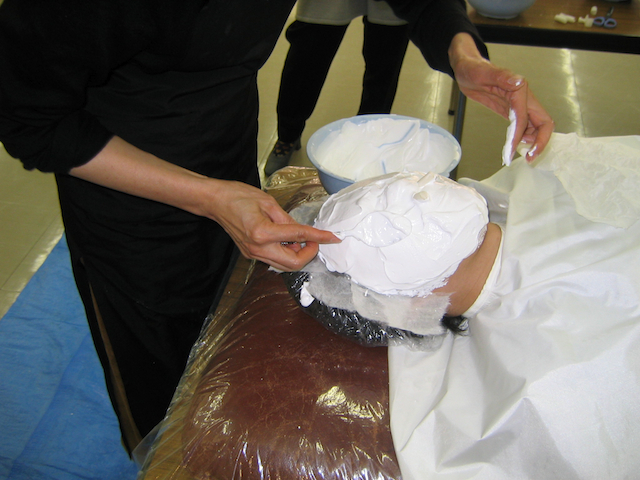 The Okayama Prefectural Museum of Art invited the Peace Mask Project to conduct workshops and an exhibition in August of 2004. 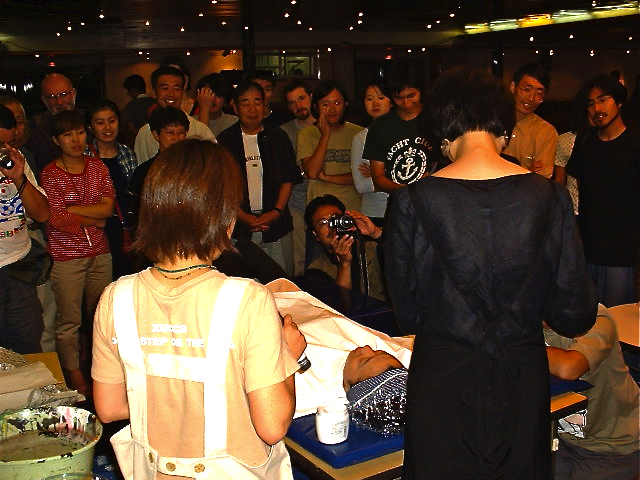 The workshops were assisted by dozens of citizens from the Okayama City area and the exhibition held at the end of the workshops attracted a large number of visitors. 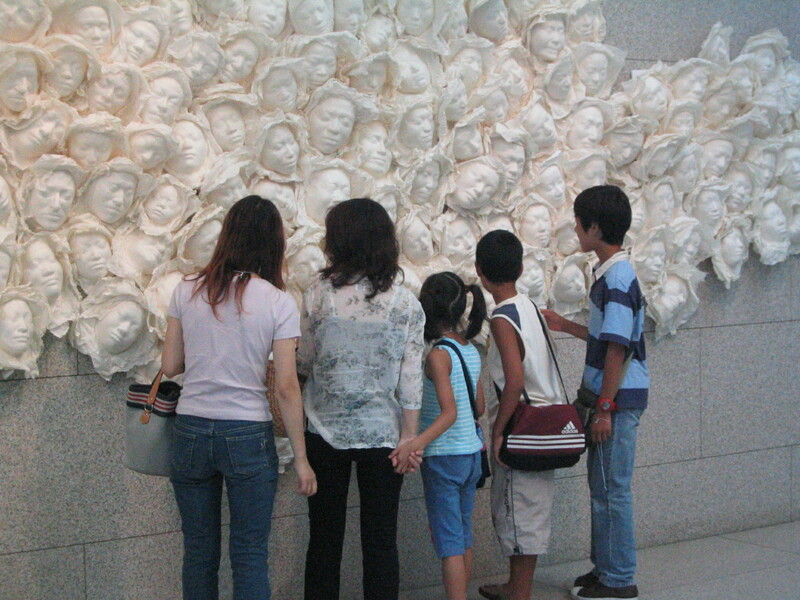 As a continuation of the “Korean Conflict Series,” a Peace Mask workshop, exhibition and talk were held at Busan Democratic Park Complex in August of 2005. 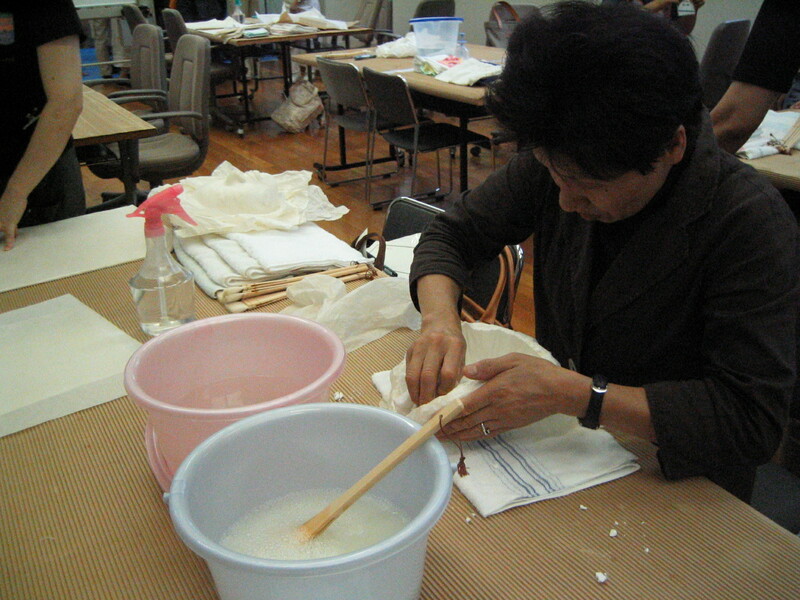 Citizens of Busan, both individuals and families, joined in the workshop in creating over 100 Peace Masks to commemorate three uprisings for democracy in Korea in 1960, 1979 and 1987. This series of Peace Masks of current famous Korean authors was conducted and exhibited at the Yong-In Authors Museum in Seoul. 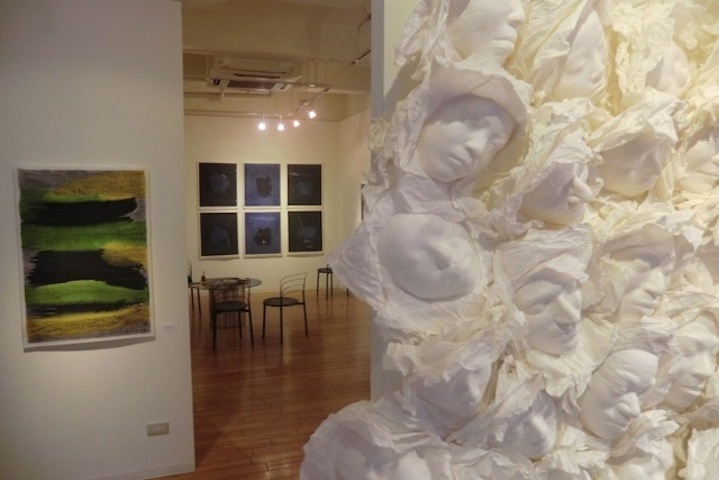 A group of approximately 20 authors contributed their time to making the workshop and exhibition an extraordinary addition to the many works on display by contemporary Korean authors. A highly successful Peace Mask Talk and Workshop was held at the Department of East Asian Studies of Delhi University on March 8th and 9th of 2005. 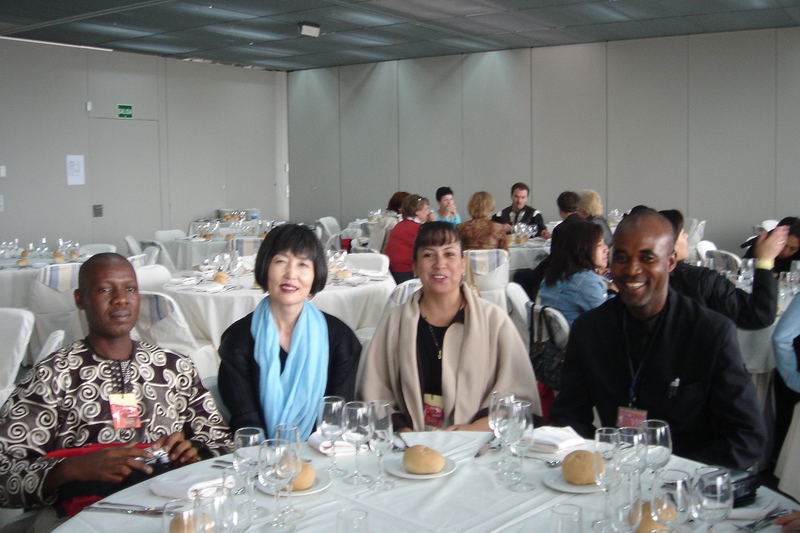 Myong Hee Kim, Peace Mask Project’s Artistic Director, was invited to attend and give a talk and power point presentation concerning the PMP to an international audience in Albacete. The conference ran from April 20 to 22, 2007. In August of 2008, Peace Mask Project took an active part in a three-week program conducted by the School for International Training. The Contact Summer Peacebuilding Institute was attended by over 60 individuals from a wide variety of countries. A Peace Mask workshop, exhibition and talks were a part of the program. 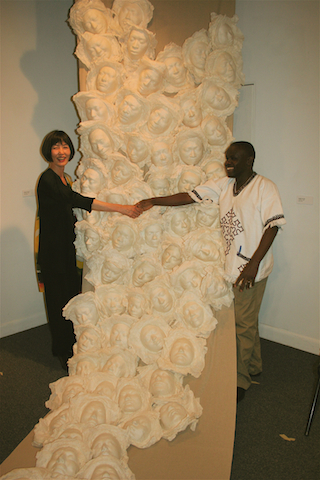 At the end of the Contact Summer Peacebuilding Institute session, an exhibition of Peace Masks was held at the Brattleboro Museum. Along with the exhibit, a panel discussions consisting of Peace Mask models was conducted at the museum, which connected the experience of having a mask created with the models’ expressions of local and world peace. 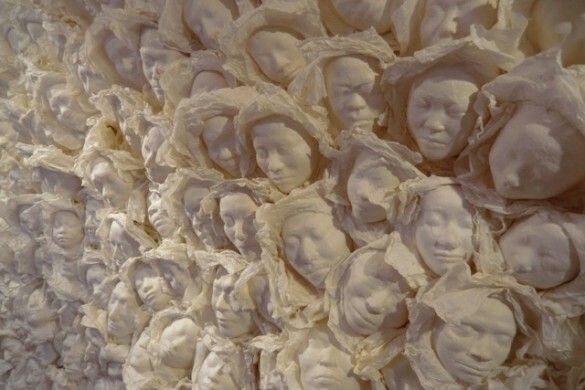 Following the two-week exhibition at the Brattleboro Museum, the Peace Mask exhibit was moved to the Asia Culture Center of Vermont, a private gallery. The exhibition there was held for one month. Attended by several thousand participants, including many directors and staff of peace museums, Peace Mask conducted a workshop and held an exhibition in the main lobby of the conference. In addition, Myong Hee Kim gave a talk explaining the history, methods and meaning of the Peace Mask Project. This conference was the forerunner of the current PM East Asia Project, with the project being inaugurated at the 8th Conference to be held in No Gun Ri, Korea, September 2014. Students at the Korea International School in Osaka, Japan participated in a Peace Mask workshop in October of 2008. Along with the workshop, students were asked to write peace messages. These were later displayed on the wall along with the masks of the student volunteers. The Peace Mask Project founding artist, Myong Hee Kim organized a project “Five Artists by the Sea” for Takahama Town, Fukui Prefecture at which five artists, from Kyoto, Osaka and Tokyo, including Myong Hee Kim, held separate exhibitions and workshops over a three-day period for the citizens of the town and the surrounding area. Each of the exhibits was held in traditional homes, inns and on the seashore. 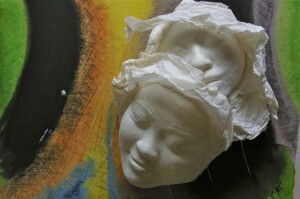 The Peace Mask event included a workshop, exhibition and talk. A series of Peace Mask related events was held at Joururiji Temple, a national treasure, in late October. 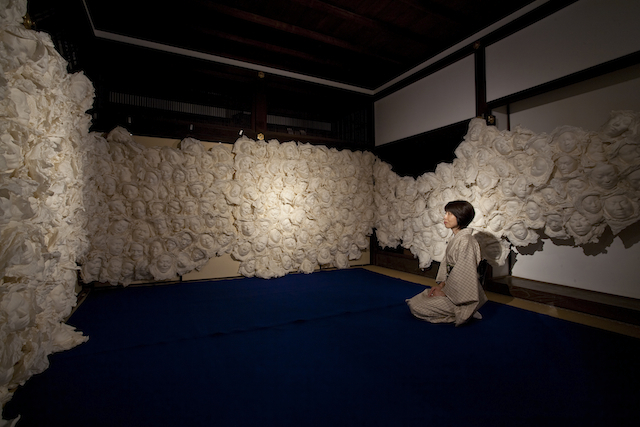 Along with a Peace Mask workshop and exhibition, there was an outdoor installation　by Myong Hee Kim and a display of 108 small lanterns in the main hall painted by the artist with calligraphy by Kessyou Saeki, the head priest of the temple. 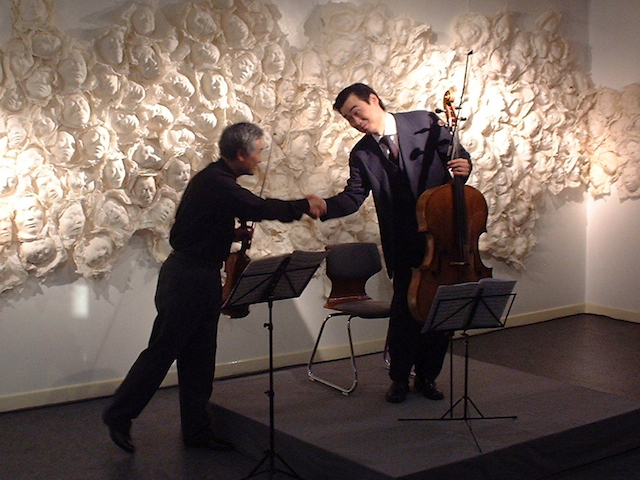 The highlight of the event was a classical music concert by Kiyoshi Okayama String Quartet of Tokyo on the last evening of the event attended by over 100 participants. A Peace Mask workshop was held during the Kinki University Arts Festival in October. Faculty members and students volunteered to have their Peace Masks created. 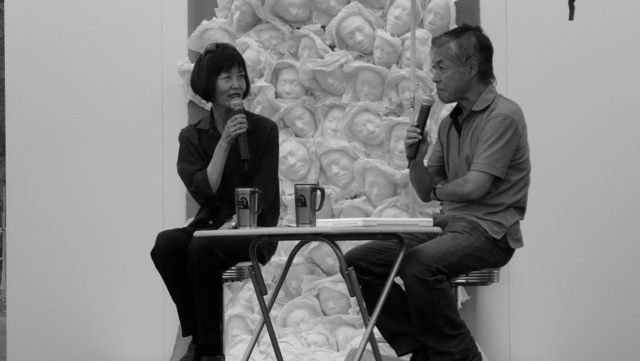 A talk was given by Myong Hee Kim to those in attendance about the meaning and significance of the project. Metka Verginon, a photographer from Geneva, Switzerland and Myong Hee Kim held a joint exhibition in June at the LADS Gallery. 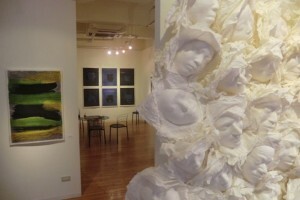 Myong Hee exhibited recent paintings, scarf textile paintings and Peace Masks during the exhibition.